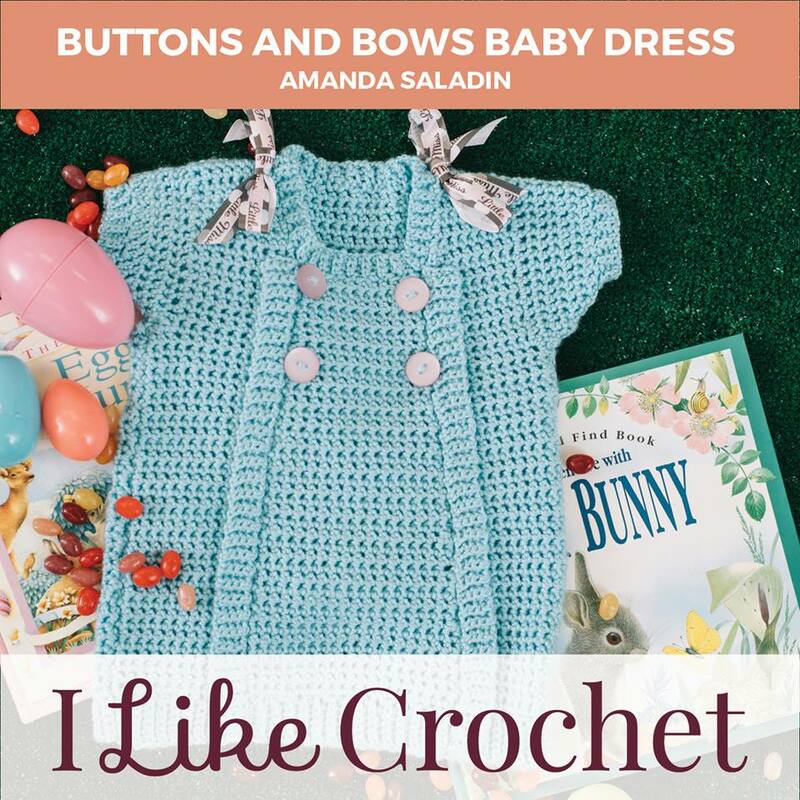 April 2017 I Like Crochet is Here! - love. life. yarn. 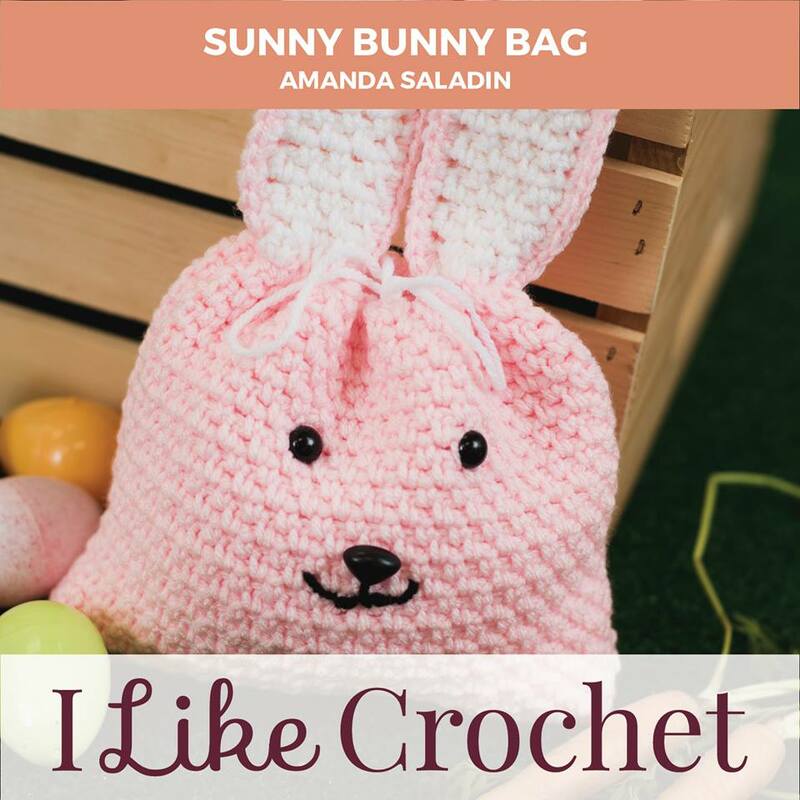 April 2017 I Like Crochet is Here! 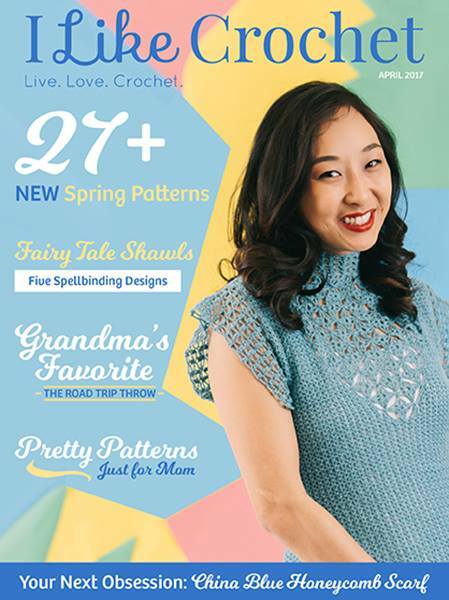 My favorite crochet magazine is out with a new issue! I Like Crochet is published every other month and I can’t wait to check out the latest issue the minute it goes up on the site. This month was no different and, let me tell you, it was worth the wait! There are some seriously amazing patterns in this issue – check it out! This dress is created with a center panel and sewn together to create the front. The back is made in one piece and the sleeves are crocheted in once the front and back are attached. You can buy pre-made bows or create your own like I did out of adorable ribbon that matches. This particular ribbon said “Little Miss” and had polka dots the same color blue as the yarn. I couldn’t resist. I also created a cute little gift bag for this issue. The Sunny Bunny Bag is great for a quick gift or a small Easter treat! The ears use pipe cleaners/stems to help hold their shape and a quick yarn drawstring keeps it closed. You can use a safety nose and eyes like I did, or embroider your own. You could even have button eyes! 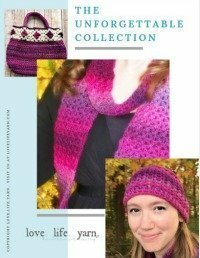 I also have one pattern in the April 2017 issue of I Like Knitting. I don’t knit nearly as much as I crochet because I’m kinda slow at knitting, but I do love designing knit patterns, too! I’ve designed a few for this site, too, but most of my work is crochet. 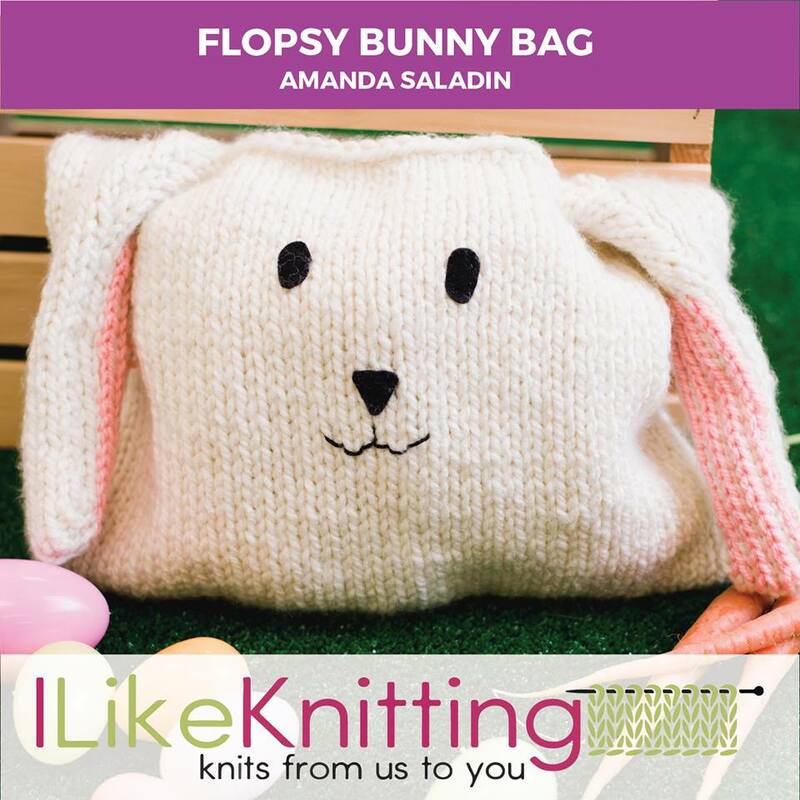 The Flopsy Bunny Bag is kind of like the Bunny Gift Bag, but it doesn’t have ears that stand up. In fact, the ears are folded over to create the handle. This is a much larger bag that can be used on an Easter egg hung to gather up the eggs or a cute tote for Easter morning. The eyes and nose on this guy are made of felt. I just cut out some ovals for the eyes and a nose shape and sewed them on. Of course you could embroider these or use the safety eyes and nose if you like.